In this lesson, you will learn how to quote people (including yourself) when making sentences. 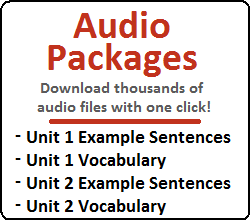 You will learn about making quoted sentences in the past, present and future tenses! In this lesson, you will add to your knowledge of what you learned in the previous lesson by learning more about making quoted sentences. In this lesson, you will learn how to quote sentences of suggestion (~자고) and sentences of question (냐고). In addition, you will learn how to form direct quotes. In this lesson, you will learn how to quote sentences in the imperative mood: that is, sentences where somebody is giving a command or order to somebody else. This is probably the hardest of all three “quoting” lessons, but is very important! In this lesson, you will learn how to quote with 주다 using 달다. You will see how this can be used in quoted sentences as 달라고 or ~아/어 달라고. In addition, you will learn about 부탁(하다) and how it is often used with 달다. 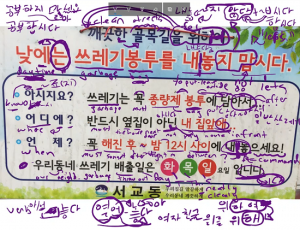 In this lesson, you will learn how to say “I make” or “I let.” Just like with a lot of other Korean grammatical principles, this one doesn’t make sense at first to English speakers, simply because the construction is so different from English grammar. In the previous lesson, you learned how to add ~게 하다 to words to create the meaning of “making” or “letting” somebody do something. In this lesson, you will learn another way to express that you are “making” somebody do something by using the ending ~시키다. In this lesson, instead of learning a few grammatical principles, you will learn a number of difficult words that don’t fit into one particular lesson or another. 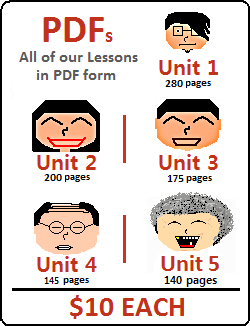 In this lesson, you will learn about 어쩌면, 아무래도, 가꾸다, 연세, 뵈다, 차림(으로) and 즉. Just like in the previous lesson, this lesson will teach you some difficult words that you would not otherwise understand. These are all words that you wouldn’t otherwise understand if you just saw them in a vocabulary list. In this lesson, you will learn about: 차다, 가득, 왠지, 설마, 찍다, 다행 and ~달. In this lesson, you will learn about adding ~았/었으면 좋겠다 to the end of sentences to have the meaning of “hope.” In addition to this, you will learn about the word “바라다” and how this could also mean “hope” in Korean as well. In this lesson, you will learn how to say that you are doing something at the same time as something else. The simplest way to say this is to use the grammatical form ~(으)면서, but of course, there are many peculiarities depending on the word. In this lesson, you will learn a few different ways that you can use the grammatical form “~ㄹ/을까(요)”. This form can have a variety of meanings depending on the context, and I will introduce you to some of these meanings in this lesson. In addition to this, you will learn how to use ~ㄹ/을게(요) to indicate that you will do something. In this lesson, you will learn about the meanings of ~듯 and ~처럼. Both of these have similar meanings that describe that something is similar to another thing, but are distinctly different. We will go over the meanings of each one, and describe the differences in this lesson. 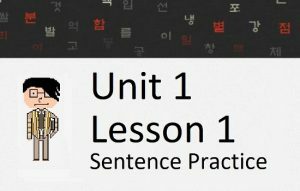 In this lesson, you will learn about the word 유일하다 which can be used to create the meaning of “only” in Korean. Though you learned that the particle ~만 can be used to mean “only” in an earlier lesson, the word “유일하다” is not entirely the same. In this lesson, you will learn about adding ~아 or ~어 between two clauses as a connector. Explaining this concept is probably the most difficult of all grammatical forms because the meaning is so subtle, and it is very difficult to find any information about it (on the internet, or by asking Korean people). Nonetheless, this concept is very common (especially in books), and needs to be explained. In this lesson, you will learn about two particles that typically have the same meaning. By using the particles ~만큼 and ~정도 you can create the meaning of “as much as…”. However, there is much more to these particles than that simple meaning. In this lesson, you will learn how to use 대신, which can be used in a few different ways to have the meaning of “instead.” In addition to this, you will learn a few other concepts and words that have the same or similar meaning to 대신. As always, I will break down the weird intricacies related to this in order for you to understand everything as clearly as possible. In this lesson, you will learn how to use the word “상관없다” in sentences, both as a word that can be placed at the end of a sentence (like a verb/adjective) and as an adverb than can be placed in the middle of a sentence. In order to use this word, you will draw from previous grammatical principles that you have learned in previous lessons (~는 지, 아/어도), and learn a new one as well (~든).